On August 11, 1855 master baker Heinrich Wardenbach opened and ran his own bakery - "Wardenbach". 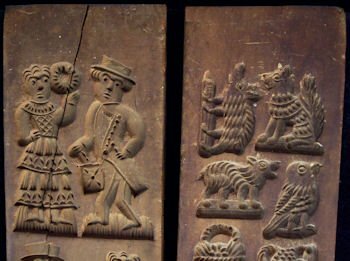 At that time he commissioned a carver to produce some Spekulatius boards to use in the bakery. On November 8, 1924 master baker Eduard Wardenbach took over the bakery. On July 4, 1939 master baker Otto Wardenbach took over the bakery. 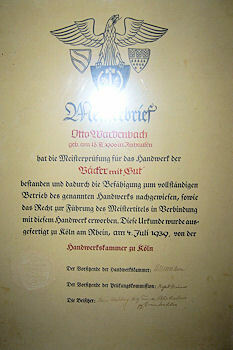 On December 8, 1966 the bakery was turned over to my father Günther Wardenbach. 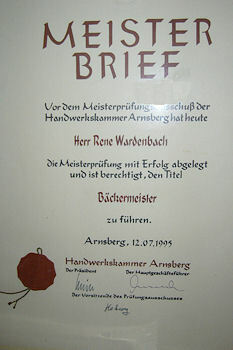 In 1995, I René Wardenbach made the title of master baker too, but unfortunately in the fifth generation my father and I couldn't maintain the bakery. 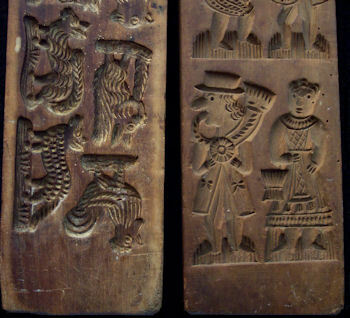 The Spekulatius boards were used from 1855 to 1939 by Heinrich and Eduard Wardenbach to make Spekulatius in the bakery. After that they were only used for decoration in the windows of the bakery. These boards have always been in our family. 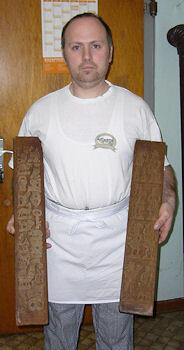 René Wardenbach holding the Spekulatius boards that were carved for and used by his family’s bakery. 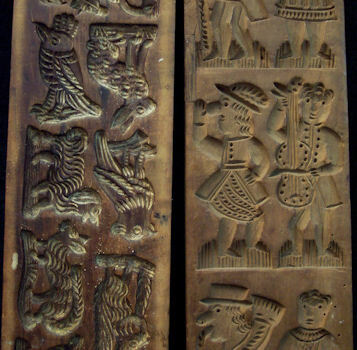 Notice the well worn edges and the patina of these molds. Something that would only come from decades of actual use. 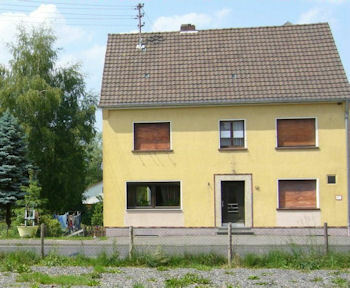 Thank you Rene for sending the photos and story about your Familie's Spekulatius boards. It was very kind and I am sure others will enjoy the photos and story as well.